A special piece of Wearable Art for your wardrobe - something to treasure and show off on special occasions! 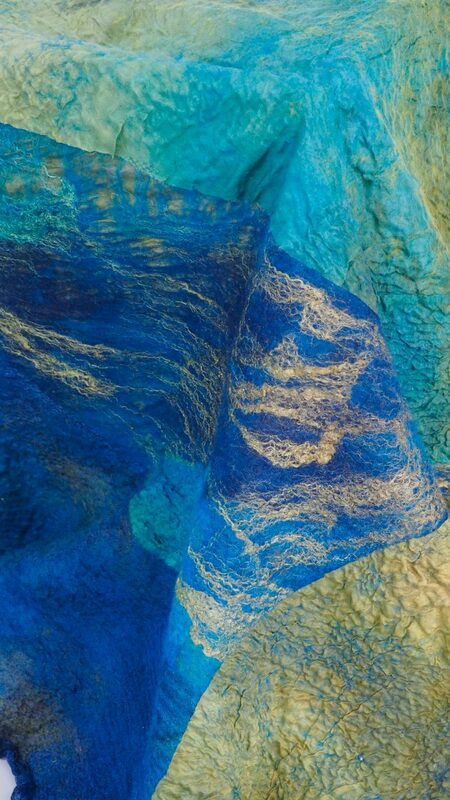 This amazing piece of Art is a mix of beautiful silk and merino wool - yet weights next to nothing! Wear it over a strapless dress in Queensland to add colour and delight or add as a layer if the weather is really cool - it is multi dimensional. Length is 2.5 metres x 75cms at the wide edge - the colours are unreal!! We will wrap and ship nationally or internationally and shipping is calculated for you on our secure shopping cart ?? back to hold the 'Work' in place!